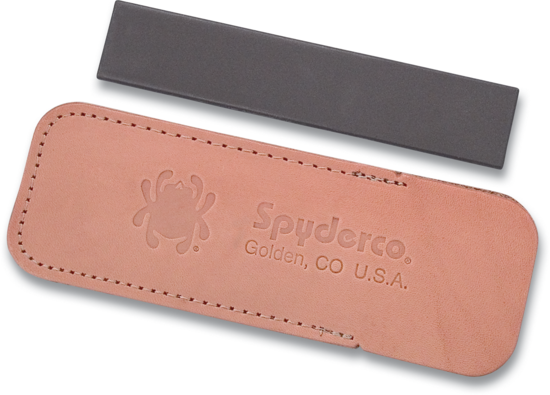 Double Stuff™ - Spyderco, Inc. 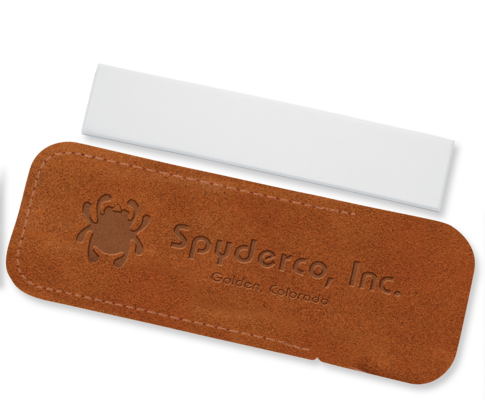 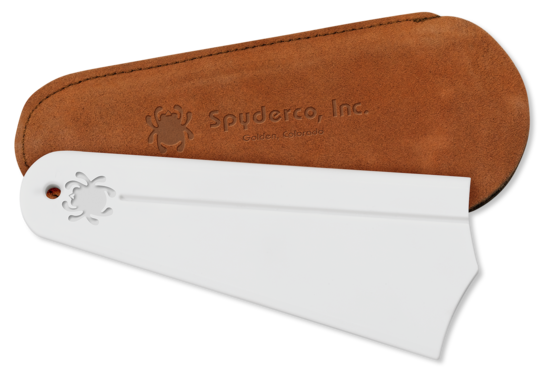 Page 87 – Spyderco, Inc.
Spyderco’s Double Stuff pocket stone is double sided, offering a medium-grit (brown) stone on one side and a fine-grit (white) stone on the other. 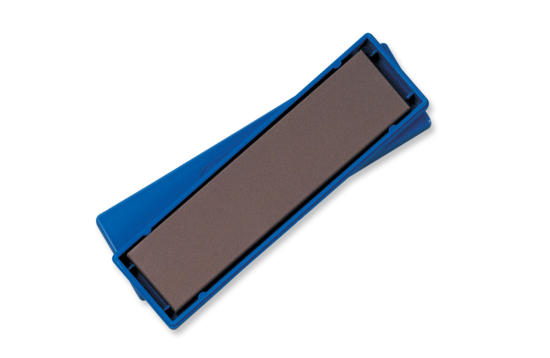 Permanently joined by industrial adhesive, these stones create a versatile, compact sharpening tool that is ideal for touching up edges in the field. 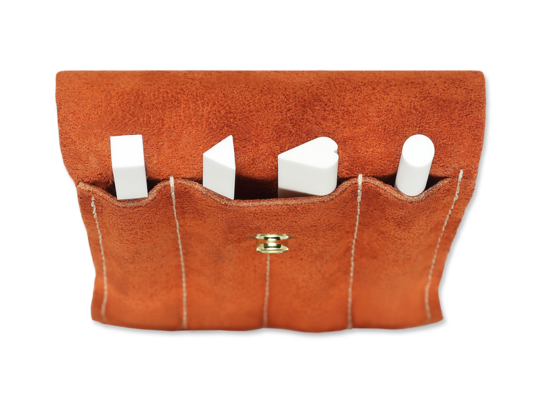 It comes with a protective suede carry case that doubles as a non-slip base during use and is easily cleaned with household cleanser, a scouring pad, and water.